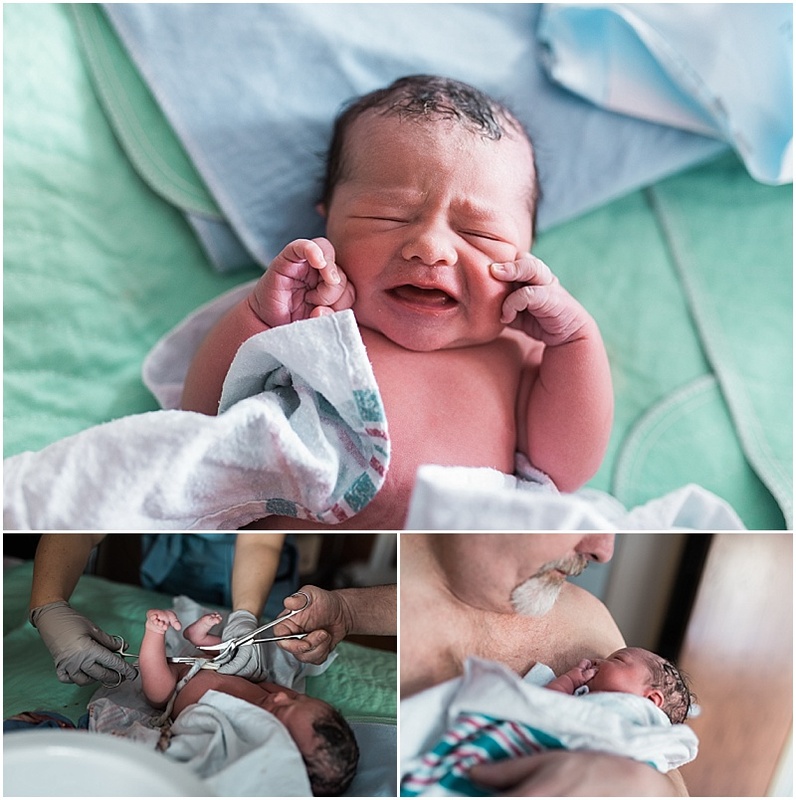 birth photography :: why bother? When I tell someone I've just met that I am, among other things, a birth photographer, I am met with a wide assortment of incredulous facial expressions, from thinly veiled repulsion to shocked intrigue. Often, it's misunderstood that I arrive at the birth place right AFTER the birth to take the very freshest newborn photos. "No," I must clarify, "I'm actually present whilst the baby is being born!" To this, my new conversational partner replies with a change of subject or honestly exclaims, "Does anybody WANT that?!" Birth IS a very private affair, and one that needs to be protected and preserved, unhindered and undisturbed. Therefore, it can seem a little counter-intuitive to consider inviting someone and her camera(s) into that space to make photographs. I get it. In fact, I've even wrestled with that, wondering if I ought to stop offering the service, for I very much have no desire at all to be a part of making a laboring woman feel watched, pressured, or disturbed. But I keep coming back to it, in large part because women keep inviting me to do it, and it's a joyful thing to say yes to. Also, I've come to see that the manner in which it is done is everything. There is a way to carry a camera into a birth space with reverent respect, holy hush, and minimized distraction, leaving birth undisturbed and a woman feeling safe to enter into her primal brain to do the work she must do... and still walk away with a collection of beautiful images. I think I've figured out how to do that, and that feels really good. 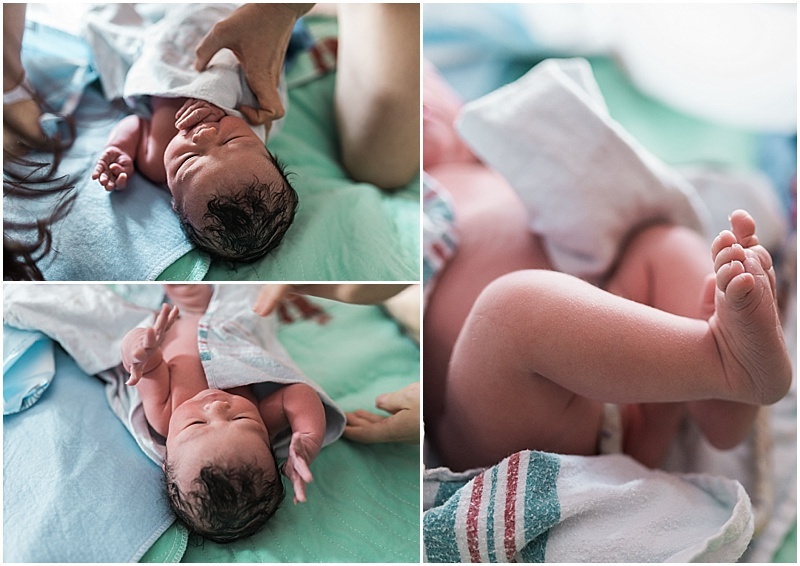 So for YOU, dear mama, why the heck would you even want a selection of photographs showing you laboring, pushing, and receiving a gooey wet newborn into your waiting arms? Won't you look unattractive and strained in those moments? Won't you feel exposed and immodest? And besides, who in the world would you ever even show the photos to? What will you even do with them (cos they surely aren't getting framed and hung over the fireplace)? Because someday you may need/want to pick through those photos, drinking in every nuance and detail as you struggled to recreate the memory in your mind of the day you welcomed your baby. Because looking at them, you will see yourself in a new light: you'll see the things that rose up in you that day that you never knew where there before. Like the courage, the perseverance, the doubled love, the raw strength in your body. All that, and more. Because you will be able to see in them how well you were loved. While you were diving deep into yourself, or soaring into unseen realms to do the work of birth, you might not have noticed the people who surrounded you, offering you sips of water, a gentle touch, a reassuring word, or the simply the constancy of their supportive presence. But now that you're back, you can see that love in the photographs. Because the way your baby looked when he/she came out of your womb and up to your arms will change SO FAST. The misshapen head, the changing skin tones as he/she transitioned to life outside your womb, the balled up fists, and the birthday frosting... it'll be gone in DAYS, and you might not have been able to properly drink it all up with your senses before it vanished. The photos can offer it back to you. Because whenever you begin to doubt if you're capable of doing hard things, you can see how you did the hardest thing that one time... and came out victorious. You can do hard things. Because someday your child will ask you about the day they were born, and you will be able to use your words -- and the photographs -- to give them the most vivid, true adventure story in which they were the hero or heroine. They'll look at those photos and see how special they've been to you right from the beginning. They'll ask to look at them over and over again, and every year on their birthday. Because there is an entire generation of younger women who aren't mothers yet and who probably won't get to witness a birth until it they are the ones giving birth. 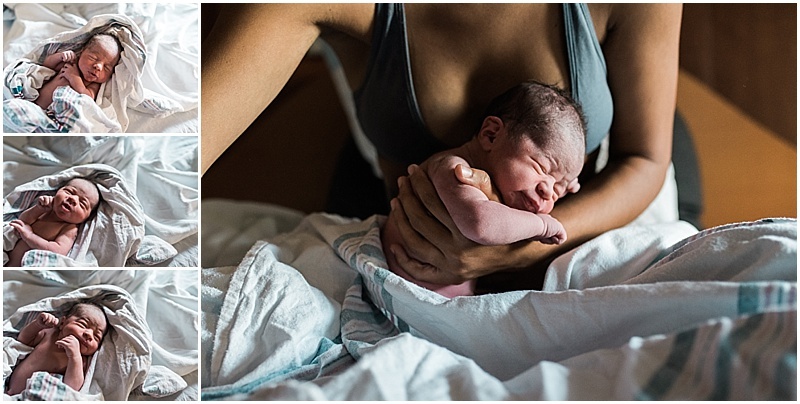 They're hungry to get a glimpse and a taste of what lies ahead, and your courage in sharing your story and your photos can help normalize and positively reframe the experience of birth for them. It's a great gift you can offer, to whatever extent you feel comfortable or called. If you've been on the fence about it, delay no longer, sister. My birth photography services are available as part of the Sister Birth Services package, or as a stand-alone. Crystal is an integrative women's health specialist, combining yoga therapy, physical therapy, and wellness coaching into beautifully customized one-on-one services for women. I had a couple sessions with her prior to my own last birth, and it was amazingly helpful. I highly recommend her! Crystal personally practices everything she teaches others, which is probably why when her doula, Brenda, who knows her well and was pretty confident that heading to the hospital (45 minutes away) where she planned to give birth was the right next move, still had a little trouble guessing how far into her labor she actually was; Crystal is a remarkably quiet and serene laboring mama! So when they arrived at maternity admitting and Crystal was already 10 cm, I had to BOOK IT out the door to meet them in their room, where sweet baby Pema was born gently, quietly, mindfully and almost en caul just MINUTES later! The holy hush that surrounded even those quickly-moving events was otherworldly. Pema was just as quiet as her mama, soaking up her surroundings with wide eyes and a quicky cry for a moment, but then quickly settling into a light sleep on her mama's chest. I'm so grateful to have been invited by Crystal and Steve to attend this second birth (you can see Pema's big sister's birth here). You inspire and amaze, Crystal! May your transition into life with two little girls be sweet and rich. I'm now offering holistic and sisterly birth attendant services in conjunction with birth photography. Head over to Sisterbirth.com to learn more! Sometimes birth is just so simple, so undisturbed; it works just the way one would hope and expect without any help at all. There's such joy and light-heartedness in those births for me -- and for everyone who is a part of it, surely. Aila's birth was one of those! Her mama Andrea expected a longer labor, but it moved quickly. Her midwives and I weren't with her for very long, therefore, before she gave birth efficiently and smoothly while kneeling on the floor of the bedroom, daddy and big brother nearby. The photos of their reactions to her birth and the declaration of "it's a girl!" are some of my favorite to date. I'm so happy for these four! If you are expecting a baby this year and you've ever had even an inkling of wondering about what it might be like to have it photographed, I want to encourage you to pause and really ask yourself whether these moments of hard work, transformation, the moments you meet your baby face-to-face are ones worth investing in capturing. If you have any concerns about the presence of a stranger with a camera (aka a birth photographer!) being disturbing or distracting, let's talk through that concern together. Let yourself truly consider this as an option. I'm so confident you won't regret it, sister. Reach out. This is the story of the day that a beautiful little girl made her way into the world, as her mama literally giggled her way through much of the pushing stage. The joy, the tears, and the intimacy between Hannah and Cale as they welcomed their daughter was so touching. What a privilege and gift to be present at such moments. Here's their story in photos. These days, in addition to photographing birth stories, I'm now integrating in a whole slew of other pregnancy/birth/postpartum-related passions and experience into one sister-like support service called Sister Birth. If you're planning your 2018 birth and find that in addition to beautiful photography you'd also really love to have a sister walk with you through it all, please check out Sister Birth! (click on the logo below to get there). It's not every day that I'm summoned to attend the birth of TWINS! So when Katy and Joel reached out about having me join the party that was the birth of their babies (seriously, it was a party! Complete with heavy metal playing and both sets of grandparents present), I was thrilled to be able to say yes. 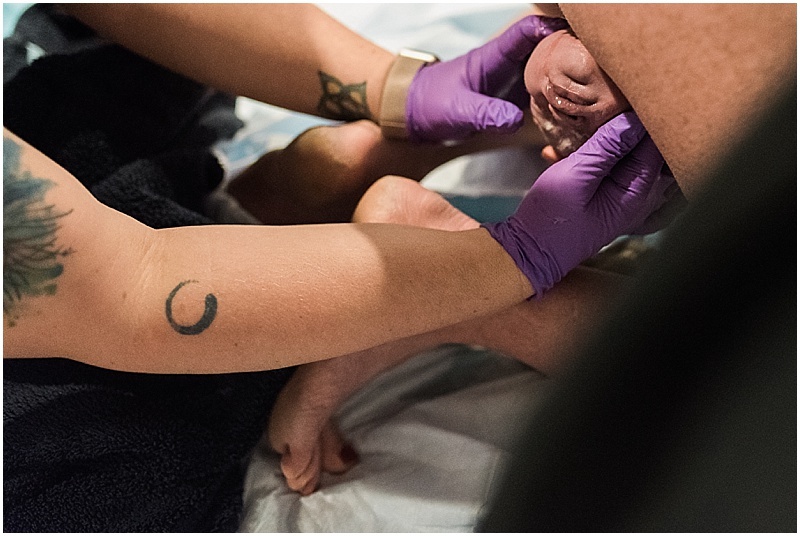 The room was FULL of hospital staff, OBs, neonatal teams, and midwife in addition to their family, so I had to get creative to get angles at points, but I'm so glad that the first moments of these two sweet babies is captured forever. New in 2018 is a companion business I've just launched called Sister Birth. 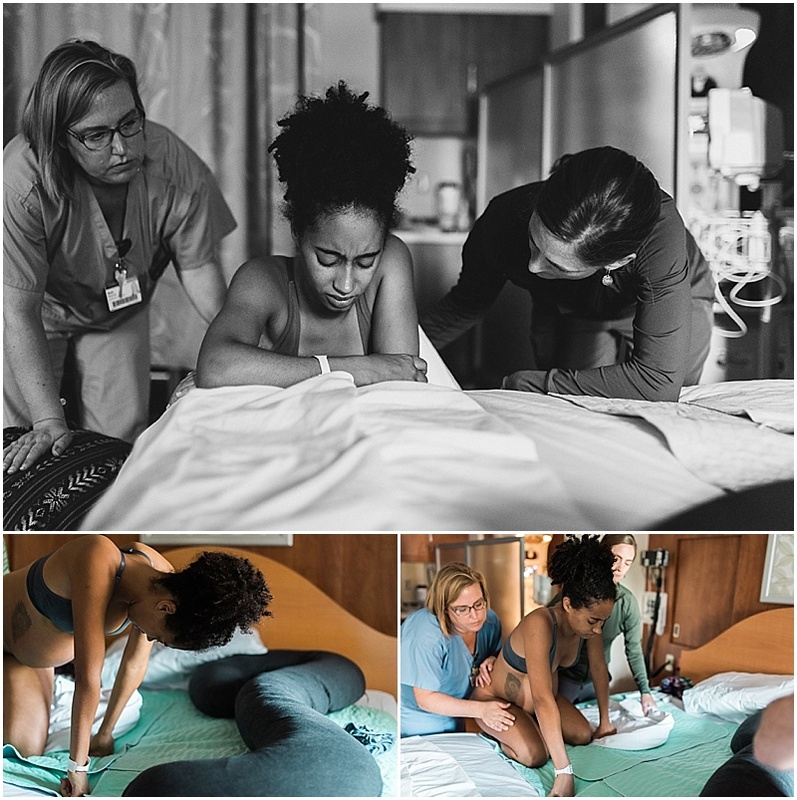 It combines documentary photography of pregnancy, birth and postpartum with holistic doula-ish support throughout the childbearing cycle. It's a conglomeration of all my passions and resources. When I put all the pieces together, it turns out that what it ends up looking like is a lot like having a loving, informed, and supportive sister in your corner, walking with you every step of the way through the transformative experiences of pregnancy, birth, and 4th trimester. You can read more by visiting www.sisterbirth.com. I'm taking clients NOW at a very reduced introductory rate: two more spots available at that price! 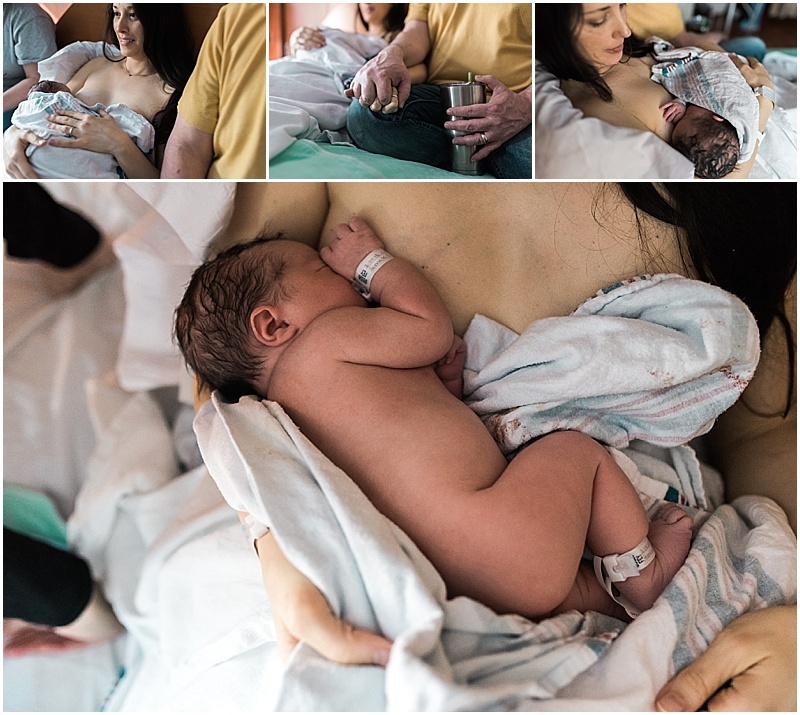 Here's a birth story (from September) with amazing beautiful elements: three generations of mothers and daughters, peaceful and unhindered birth, sisters tandem nursing, and the tenderness of many gentle hands. I invite you to read the story first through photographs and then -- at the end of the photos -- in words penned with love by Lydia, Ayla's mama. One detail to know upfront, however, because it will enhance your viewing: Lydia's mom is midwife Sarah LaGrand, CNM and she attended, along with her partner Breck Reinsma, CNM. The closeness of these relationships lent a really special flavor to the birth environment. Alex and I always knew we wanted to have a second child but weren’t sure of the timing. Alex was halfway through his last year of residency and we would be moving across the state for his new job in June. Kaia was a spunky little toddler and though we thought we wanted our children to be close, we thought that it might be best to wait until after we moved to start trying for a baby. I had just spoken to a close friend about plans to push back trying for baby number two, and had just purchased a large bottle of wine to treat myself after a particularly difficult day with Kaia. As I counted down the hours until my twelve o’clock glass of wine, I couldn’t shake the nagging feeling that I should take a pregnancy test. My breasts had been feeling unusually tender and Kaia had been fussy at the breast for a week or so. While getting Kaia ready for the day, I quickly peed on a pregnancy test and set it down to finish Kaia’s hair. I almost forgot to look at the results of the test before leaving the bathroom, so I ran back in to glance at the test before chasing after Kaia. There was an unmistakable second pink line. I was absolutely shocked. God had other plans for our family. He had probably knowingly smiled as I, just the day before, spoke of plans to put off having a second baby. Our baby was getting ready to make his or her debut in roughly nine months’ time. It was amazing how the months absolutely flew by. Month one through three were not enjoyable. I was plagued by all day queasiness paired with several bouts of throwing up every single day. I was convinced that Kaia’s brain would turn to mush by the amount of television she watched. I just had no energy to do much of anything but lie on the couch during the day. Thankfully, by week fourteen the all day sickness had subsided. Week twenty came around and I went in for the anatomy ultrasound. The ultrasound showed a healthy baby and I breathed a small sigh of relief. Alex and I decided not to find out whether our baby was a boy or girl this time around. A few weeks after the anatomy ultrasound I began packing and getting things organized for the upcoming move. At the end of June, we moved from Ann Arbor to Holland, Michigan. Over the next several weeks, Alex and I worked hard putting our home together and get ready for the baby. I attempted to keep up with weekly belly bump pictures, but as it often happens during a second pregnancy, the first child takes much of the attention and energy away from those sorts of things. We did manage to set up a crib, take all infant items out of storage, and do several loads of laundry for the baby. We were as ready as we would ever be for the arrival of our newest family member. I had a difficult time sleeping that night and felt extremely restless, my mind was racing. When would this baby finally arrive? How would my crazy toddler adjust to a new sibling? How would labor go this time around? Was the baby a boy or a girl? Would I be able to utilize the gentle birth techniques I had been practicing during actual labor? I was driving myself crazy and by this point it was midnight. Then suddenly, I was overcome with a sense of peace. I reigned in my thoughts and prayed. I asked God to calm my anxious heart, I surrendered to Him and His will, and knew that the baby would come when ready. I would try my best to enjoy these last weeks of pregnancy. Once again, God smiled knowingly as I closed my eyes and drifted off to sleep in the still darkness. I woke at two thirty in the morning to Kaia asking to be breastfed. As I lay on my side feeding Kaia, I felt a contraction. I knew what Braxton Hicks felt like and this was something more. I decided to wait it out and see if I continued to have contractions. I did. They were painful but spaced far apart and were inconsistent in duration. After having several more fairly painful contractions, I felt it was time to let Alex know. After letting Alex know what was happening, I called my mom to see what she thought I should do. She urged us to pack the car up and drive into Grand Rapids. We loaded up the car and attempted to transfer a sleeping Kaia from the bed to the car. We were unsuccessful in keeping her sleeping, but Kaia seemed to know that she needed to stay quiet and calm. During the drive to Grand Rapids my contractions continued to be painful but were still irregular. While laboring with Kaia, I had consistent contractions in time and in length getting more intense with time. I wondered if maybe I was experiencing false labor and would be soon returning home. Alex and I placed our final bets on whether the baby was a boy or girl. Alex said boy, I said girl. We would soon find out. By the time we arrived at my parents’ house my contractions had become more spaced out, yet continued to be painful. My mom reassured me that this wasn’t unusual in second time moms. However, I still wasn’t convinced I was truly in labor. I was able to talk through each wave of contractions. I spent an hour or so cuddling with Kaia soaking up my last bit of time of just me and her while she watched Curious George. My mom gave me a much-needed foot massage and warmed up cloth bags of rice to place on my back as I was beginning to experience back labor. After a couple of hours, Alex and Kaia went upstairs to lay down to try and get some sleep. My adrenaline was pumping so I was not feeling tired though I desperately wanted to sleep. After some discussion with my mom about how we were going to proceed, I decided to have her sweep my membranes. I laid down on the floor of my childhood living room as my Mom checked me and swept my membranes. I was pleasantly surprised that the process didn’t hurt as I had imagined it would. I was four centimeters dilated and thinned out. I decided to head upstairs to Kaia and have her nurse in hopes of intensifying my contractions and it worked like a charm. Within a half an hour I was having consistent and painful contractions. The pain of back labor had also amped up and I was getting quite uncomfortable. We decided that it was time to call my birth photographer and let her know we were heading to triage. The drive to the hospital was unpleasant and I was already ready for labor to be over, but knew I needed to be prepared for the long haul. I was breathing through contractions well and able to use gentle birth meditations to stay focused. I was monitored for twenty minutes in triage and during that time my birth photographer, Brooke, arrived. Followed closely by my midwife, Breck. She checked me and I had some a little more progress since I was last checked at my parents’ house. I was disappointed that I wasn’t further along. Things were getting more intense and the puke bucket had become a regular fixture next to me, which was miserable. I chose to use the low intervention room and was wheeled up to labor and delivery to room four. My mom drew a bath for me since I had loved being in the tub during my while laboring with Kaia. However, the bath was short lived as I could not find a position that was comfortable for me. It just wasn’t the same as the spacious, comfortable birth tub that the University of Michigan had in their birth rooms. Fortunately, my mom brought along my pregnancy pillow and I found a comfortable side lying position using the pillow. My contractions were becoming very regular at this point and I was getting even more uncomfortable. I kept waiting for my water to break, but it wasn’t happening and I was growing frustrated. I was able to keep my focus and breathe through my contractions and staying mentally in control. Breck, my mom, and the RN Ashley could tell that I was growing tired and frustrated so they suggested that I move positions. I was less than pleased to move from a relatively comfortable position, but I knew that they likely knew best in this instance. I moved to the floor and leaned over a birthing ball allowing my heavy belly to hang, moving the baby further down and into a better position for delivery. I continued to throw up with almost every contraction and was beginning to grow weary. I had been up for most of the night and had not slept well the night before, so I was exhausted and totally over the pain. To top it off, my water still hadn’t broken! It was at this moment that I wanted to throw in the towel. I decided it was time for an epidural. I asked for one—I no longer cared about my natural birth plans. Thankfully, Breck and my mom knew I could do it and was close to delivering. They suggested that we break my water, get an IV going with some pain meds, and see how things progressed. I was frustrated but knew I should give it a try. I eventually made my way back onto the bed and readied myself to have my water broken. It was simple, quick, and almost immediately I felt the extreme pressure of the baby moving down the birth canal, engaging even further. I didn’t think it was possible, but I became even more uncomfortable as my back was in immense pain with each contraction, and the almost unbearable pressure pain grew more intense. My mom suggested that I try sitting on the toilet to see if that would help lower the baby even further. I begrudgingly waddled into the bathroom and sat on the toilet. Almost immediately I felt the urge to bare down. I let out a guttural groan that everyone in the room familiar with birth recognized as “the baby is coming soon” groan. I didn’t want to have the baby on the toilet so I decided to get back into bed. On my way to the bed I had a large contraction along with horrendous pressure. I held on to my nurse, Ashley, for dear life. She graciously supported my entire weight for the entire contraction as I bore down, moving my baby closer to the outside world. I eventually made it to the bed and resumed the side lying position I favored earlier. Unlike my first labor and delivery, I wanted Alex to not only emotionally support me, but also physically support me. I needed his hand. I needed to know that he was there right with me. I will always cherish the moment I looked up and saw two of my most loved people, my husband and my mom, supporting me together physically and emotionally. I quickly transitioned to the very last stage of labor. We had arrived at the moment right before the baby was to come out and join us, at last. Alex held my hand, my mom held my leg and foot, and Breck sat on the end of the bed waiting and encouraging. I continued to repeat positive birth affirmations and tried to remember the pushing breathing I had practiced for several weeks prior. After using my breath to push the baby down, I felt the familiar burning sensation of the baby crowning. 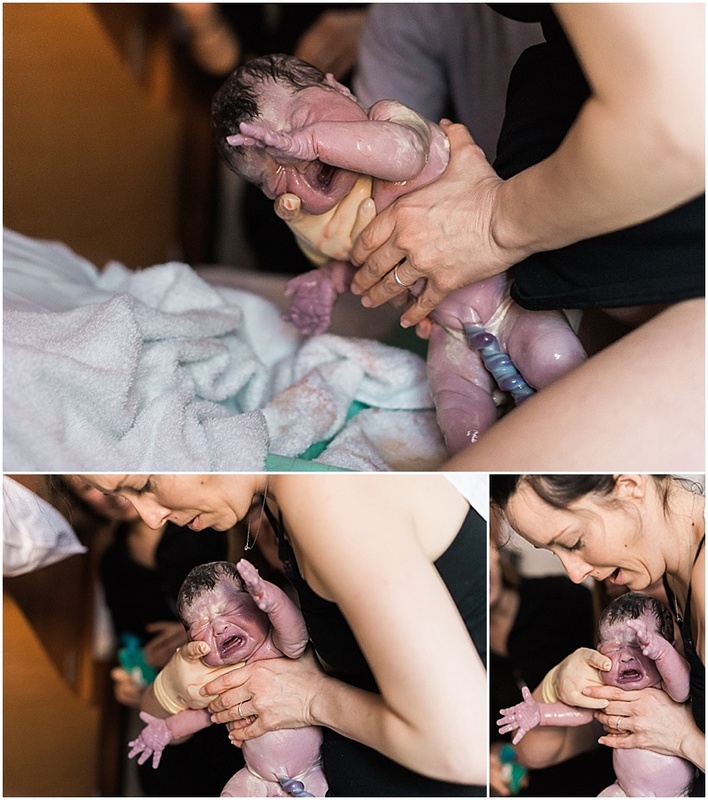 This was the only part of birth that scared me, but I was able to collect my thoughts and work with my body and the baby, rather than against it. I reached down and felt the baby’s head. I would soon know if I had a second daughter or my first son. I decided that I was going to have this contraction be the last contraction I would ever have. I breathed my baby out and reached down to pull the baby onto my chest. I was finally meeting my baby for the first-time earth side, face-to-face. She was so tiny and so loved. Kaia had a little sister. Kaia was a big sister! Alex and I looked at each other and looked together at the baby we created. We were so at peace and so happy. Ayla Grace completed our family perfectly. I was shaking uncontrollably from the adrenaline, but was able to get Ayla to latch on to my breast for the first time. She knew exactly what to do and we were bonded immediately. Delivery of the placenta, and repair of my small tear soon followed. It was finally time to bring Kaia in to meet Ayla for the first time. Kaia was brought in and placed on the bed with me, Alex, and Ayla. She noticed Ayla immediately. I wasn’t exactly sure what to expect, but Kaia gently explored Ayla’s tiny fingers, little nose, and silky soft hair. After taking her in, Kaia was ready to nurse. Our first tandem nursing session was held right then. The first of many more to come. The joy, love, support, and serenity in room number four during the morning and afternoon of September 11, 2017 was palpable and overwhelming. I had the best labor support team comprised of my husband, mom, best friend, amazing midwife and nurse, and birth photographer. I could not have asked for a better experience and a more perfect baby. Ayla Grace Bouwhuis, we love you always and forever.